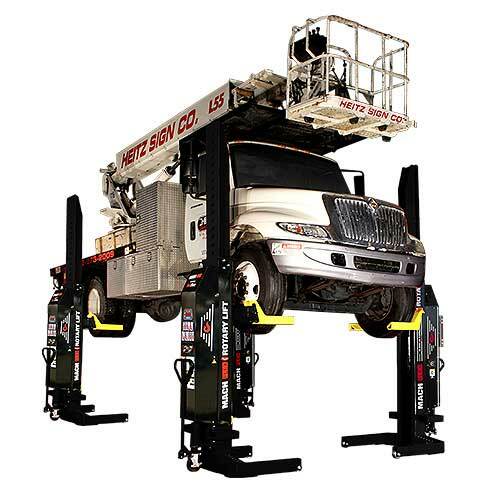 Rotary Lifts offers a full line of truck lifts to fit any need. Rotary lifts gives you the option to choose what style lift best fits your shop. 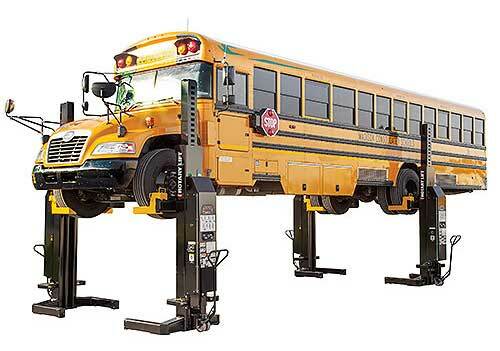 Whether your shop handles buses, semis, or heavy trucks our lifts will give you every option you need – with the power and reliability that Rotary Lift® is known for. 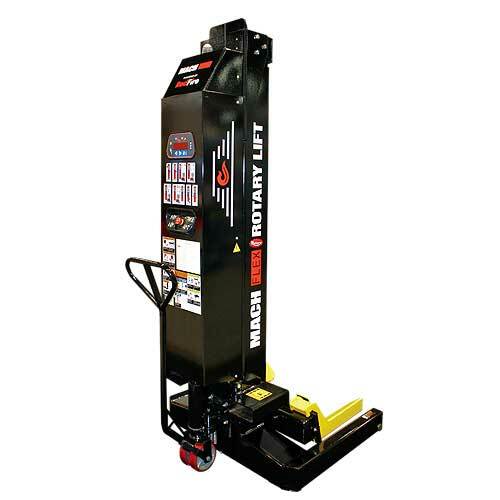 Rotary Lift® can handle lifting any way you need by wheels, runway, or axel. Along with that we also have the largest selection of adapters in the industry. This ensures you can handle any job that comes through the door. FASTER, EASIER, MORE POWERFUL, MACH FLEX™Red Fire gives you the ultimate in lifting versatility, mobility and flexibility! Exclusive software means no more cords, keys, or chips. Two, four, six or eight column configurations can accomodate heavy duty vehicles up to 150,400 pounds! Rotary’s versatile, remote-controlled, mobile lifting system gives you the power and mobility to make service repairs anywhere in your shop. MachFlex RemoteTechnicians simply follow control commands. Not having to wait at each column to sync before moving to the next column saves critical set up time. Remote control auto detects and connects when communicating to the columns. Give your techs the ability to move around and ensure all is well with the vehicle being lifted. The auto resume feature mean you’re in the bay and up with even more time to spare. 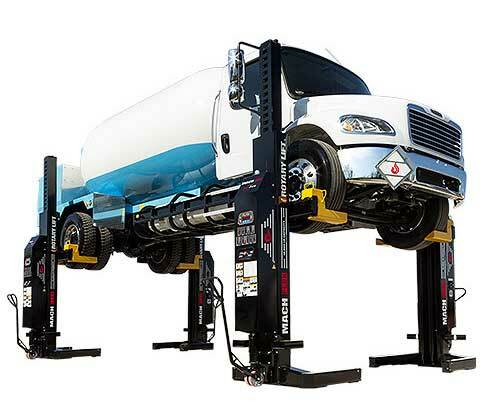 Rotary’s MACH FLEX 14 mobile column lift give you the option of not being tied to a bay. Get the job done where ever you have the space. Our easy to use design give your technician the control from any column. Our forklift pockets provide a convenient way to relocate columns within your shop. Included with every lift, they are clearly labeled for easy handling. Easy to move adjustable forks improve set up time without the need for reducer sleeves. Adjustment range is 6.3″ to 23.6″ to accommodate approximate tire sizes 9″ to 24″.